Hate your job or parts of it? Been there, done that. Hating your job is a major clue that you are in the wrong place and not filling a void for something you really enjoy. While it takes time and planning to transition into a role that you love, your focus right now should be on how to maximize where you are to propel yourself to the next opportunity. 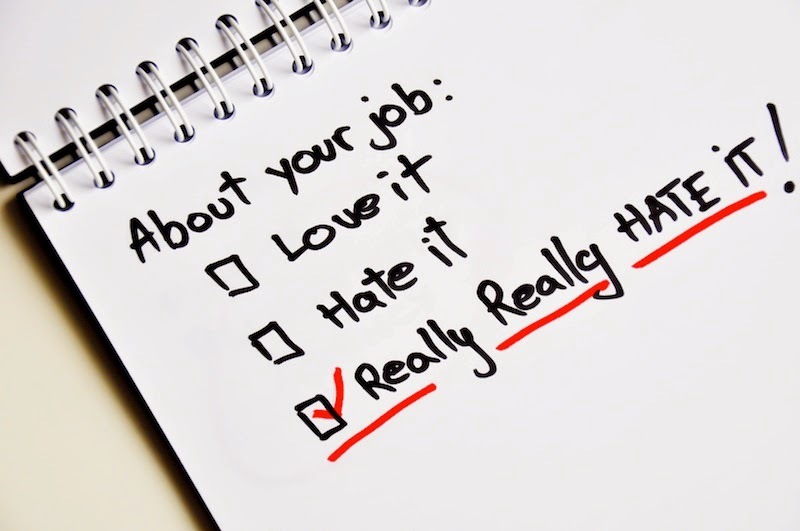 If you dislike your job, it's probably a stretch to say you can love it despite how you feel. What is important is to determine why your job makes you unhappy, then do something about it. In my experience, people wait until things get out of control before they develop a plan to move on. If you are trying to find another opportunity when you are not prepared, stressed out, or worse, your performance is rated poorly, then ultimately you have to do what is best for you. Most people in this situation take jobs out of necessity without giving themselves options. Instead of using your energy to loathe what you are doing, use it as fuel to push forward to the next opportunity. We all have a desire to be acknowledged and excel at something we truly enjoy, but if our actions are always reactive and mediocre, then how can we ever transition into a role that feeds our purpose AND our pockets? - Why do you dislike your job? - What position would you rather have instead? - What do you need to do in order to move on? - Are you currently meeting or exceeding performance goals? Question #4 is crucial to your future success. If there is an extended time that you will need before leaving, make sure you stay in good standing and meeting or exceeding expectations. It's critical that you embrace the skills you're currently using and identify the skills that are transferable. Most people describe themselves by their tasks and not their skills, but it's the skills that get you hired, not the tasks. One of the best advice I've ever received was from an executive who told me that you have to perform well in your current role to get a better one. Sounds like pretty simple advice, right? The wisdom she imparted was that your performance is an extension of you. Poor performance will not receive a recommendation, and if you are not performing well, you are hurting your chances for getting your next opportunity, especially if it's an internal position. Stellar or poor performance is what people will remember about you, so leave on a positive note and give yourself the option to return if you choose to do so. If you feel that you are under employed, then excelling in your current role should be a piece of cake, whether you hate it or not.